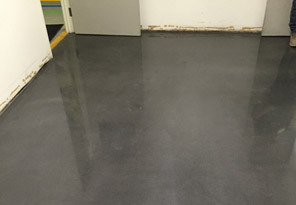 Floor Polishing Services - Paramount, California - Techcoat Contractors, Inc.
At Techcoat Contractors, Inc. we provide professional floor polishing services and specialize in grinding and polishing concrete floors in industrial, commercial, and warehouse facilities. As the area’s most experienced floor surfacing and coating company, we promote concrete floor polishing as an economical, low-maintenance, long-lasting flooring option. 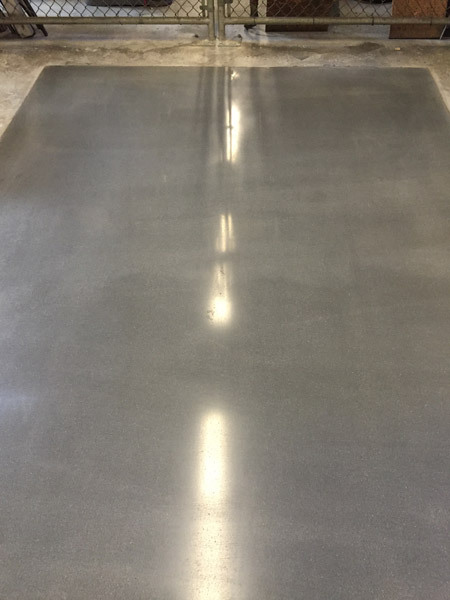 Featuring a durable and easy-to-clean surface, polished concrete withstands heavy duty traffic, resists discoloration, and hinders the absorption of water, oil, and other potentially damaging substances. Our experienced field crews have exceptional technical capabilities in all aspects of floor polishing. They understand that the key to achieving the best quality finish is by starting with a clean floor and executing the proper surface preparation. 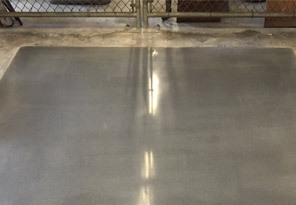 We leverage state-of-the-art planetary and vacuum grinding equipment to refine the concrete surfaces until the desired reflectivity is achieved – from a low reflective 400 grit finish to a highly reflective 1,500-3000 grit finish. Our polishing services also incorporate the use of premium quality densifiers & Sealers. We also offer you the option of using a stain to color your floor or adding a cementitious overlayment for resurfacing the concrete with a color or pattern. Whether it is a new installation, renovation, or repairing and restoring and older floor, we have the staffing and equipment to get the job done quickly and efficiently. Our services are backed up by years of experience in manufacturing plants, food and beverage processing facilities, packaging companies, automobile factories, and many other industrial and commercial enterprises. 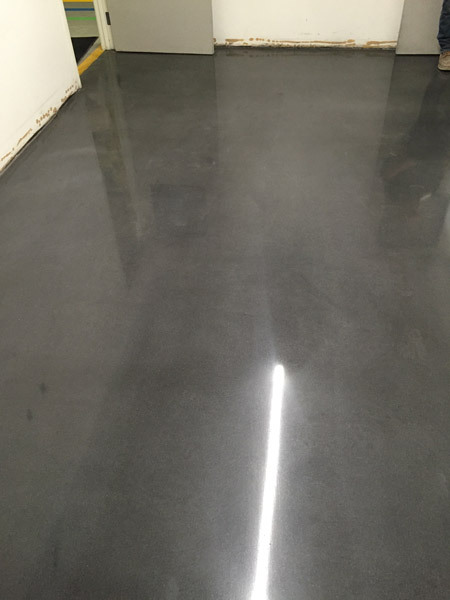 To learn more about the features and benefits of polished concrete floors, contact us today. Since 1988 TECHCOAT serves the Southern California industrial flooring, coatings and linings market as a specialty contractor. We provide high quality, cost effective turnkey installations and innovative solutions for the toughest problems in floor surfacing and coating, protective coatings, concrete repair and containment linings for renovation or new construction. Dedication to craft, workmanship, and attention to details made Techcoat a leader in its industry. Do not hesitate to get in touch and learn how we work. We’ll contact you shortly! Copyright © 2017 TECHCOAT, All Rights Reserved.